The wait has been worth it!! 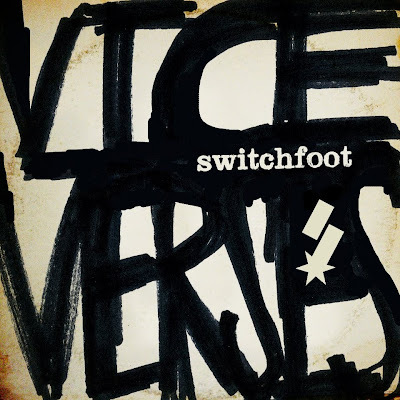 I think this album is a complete departure from other Switchfoot LPs, with the exception of "Hello Hurricane" since they were pretty much recorded at the same time. This album ROCKS you from the moment you click "play." As always, the lyrics make you think. No preaching tho, which is what I've always loved about this band. They're talking life as they know it and want to express it in Switchfoot fashion!! You know what I don't love about this album? That it wasn't released when I was a teenager, struggling with "The War Inside," my own identity. . . feeling like no one liked me and not knowing how to come through it. WHERE WAS THIS ALBUM WHEN I WAS SUFFERING!?!? Thank goodness, I got through my season. But some don't. These guys must have gone through similiar wars to have written such profilic lyrics. I can see these songs being used to encouraged the teens of today who feel alone, lost, down, angry, etc. . . i.e. "The Blinding Light" "Hey girl, be yourself now, Don't believe what they told you to, Hey girl, be yourself now, Your skin's more than a pin-up suit, Hey girl, don't conform now, No one else's got soul like you, Hey girl, you're a strong one, But none of us are bulletproof." I totally LOVE this album!!! I love the lyrics, I love the music, I love the technical engineering done on it. GREAT ALBUM!!! Look for it Sept 27th.